Three years ago Susan Hodgson decided it was time to turn her life around and take control of her drinking problem. Today she’s very different from the person from the one she used to be. She’s a Peer Mentor for Aspire Drug and Alcohol Service in Doncaster that helps people beat addiction. She has managed to secure herself an as and when contract in the WellBean Coffee Lounge at Tickhill Road Hospital. 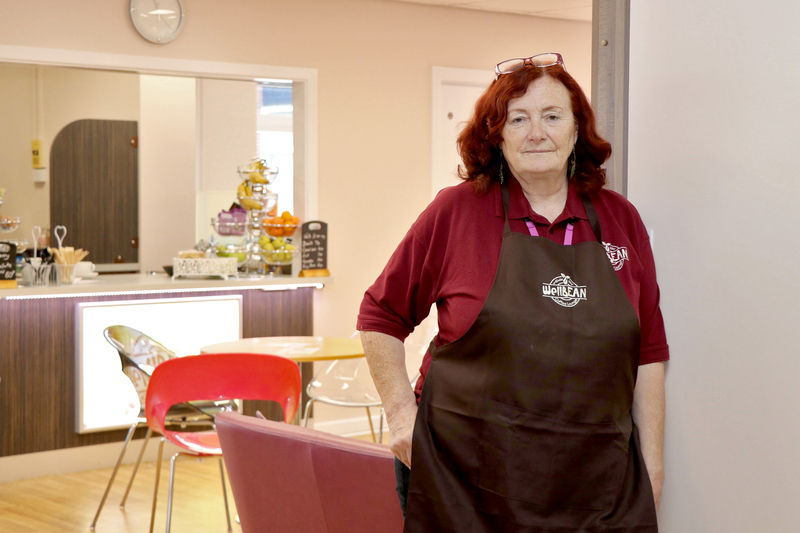 She has become a Carer Governor for Rotherham Doncaster and South Humber NHS Foundation Trust and more recently was awarded Volunteer of the Year 2017 at its Annual Awards Ceremony. Susan recalls: “It‘s still difficult to talk about the past. My addiction with drink first started after my husband died. We married when I was 17 and we were together for 26 wonderful years. After he died I felt lost. I met someone else and that’s when my drink problem started. They would drink every night and I started doing the same. Before I knew it I had a serious drinking habit.